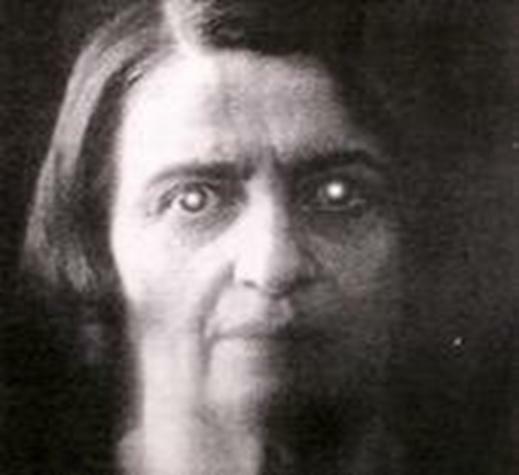 Fanatical Antichrist Ayn Rand. Megalomaniac. “America was created by men who broke with all political traditions and who originated a system unprecedented in history, relying on nothing but the “unaided” power of their own intellect.” | Capitalism: The Unknown Ideal. ^^^That is Patently false. Ayn Rand attempts to rob American Libertarianism of it’s Christian foundations, and enthrone Godless ‘Reason’. She too is a wolf in sheep’s clothing… claiming to be a champion of liberty and rights, while attacking the very foundations of those Ideals. In his candid biography ‘My life with Ayn Rand’, Her greatest disciple Nathaniel Branden (whom she dubbed ‘John Galt’) admitted she became completely divorced from reality. She was Tyrannical… demanding absolute submission to her dictates. 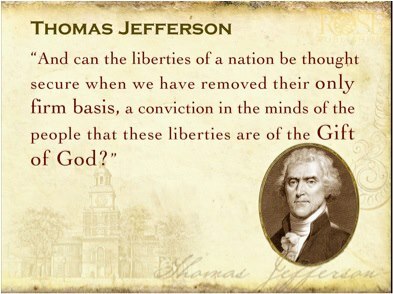 No room for freedom of thought. You had the right to follow your own conscience…as long as it was 100% in alignment with their great leaders teachings. And this is still be the defining trait of Objectivists today. They have conformed themselves into little imitations… little graven images of their Atheist Deity. Nathaniel Branden would eventually be caste out and demonized because he wanted to end his sexual/ adulterous relationship with Rand. Ayn Rand was a classic example of a Russian woman. The abrasive attitude she displayed is extremely common among the elderly women in the Slavic culture. I tend to think that this behavior was more a function of her culture than an outgrowth of her philosophy. To this day I’ve never read Ayn Rand. I was inspired to be libertarian by John Lydon. Your observation is most interesting! If true you have exposed an interesting part of her psyche… one that she rationalised as being evidence of her ‘self imposed values and Ideals’ rather than a quirk of her tribal heritage! 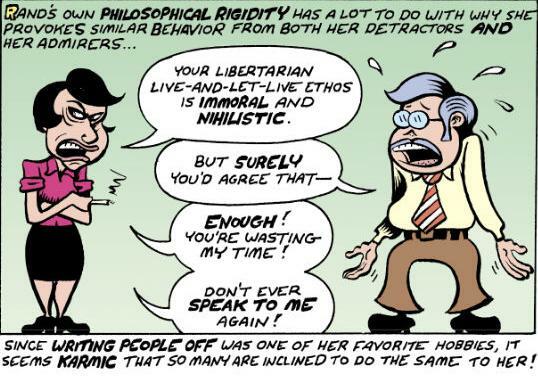 Very amusing that her legion of sycophantic worshippers mistakenly assume that she perfectly embodied ‘Objectivism’ and emulate her shocking character… as a pattern of virtue! Blair, I must confess to having enjoyed the Fountainhead, and Atlas Shrugged, yet when you realise that she was a fiction writer whom among other whack ideas actually ended up believing her own fantasy world was more ‘real’ than the reality she lived in… and then claimed that it was the Theist whom tried to ‘ignore reality’… she really is a ridiculous clown of a woman… and I think reading her stuff is not worth the effort. It is a wonder of humanity that Nut bars like her find no shortage of worshippers! If you guys click on ‘Ayn Rand’ on the sidebar you will find plenty of other Blog posts on this Antichrist Megalomaniac. Time to give people the choice, Either they abide by principles, standards and values or they go Hungry.